Puccini, after thecompletion of "Madame Butterfly", to be out from the world of lyricaltragedy drama, had been thinking of step forward in the new opera. Trilogyopera "Trilogy" of Puccini　is the opera Puccinitried to consist of "Hell" "purgatory Hen" "heavenHen", following "DivineComedy" of Dante, . Il tabarro is an opera in one act by Giacomo Puccini toan Italian libretto by Giuseppe Adami, based on Didier Gold's play Lahouppelande. It is the first of the trio of operas known as Il trittico. Michelewonders aloud if Giorgetta is still faithful to him and ponders who might havechanged her so much. He reviews the list of men who have shared in their livesbut dismisses each of them as improbable. Michele lights his pipe and Luigi,seeing it from afar, thinks that it is Giorgetta's signal. He returns to thebarge and is confronted by Michele. In the ensuing fight, Michele gets theupper hand and forces Luigi to confess his affair before killing him and hidingthe body under his cloak. Giorgetta returns to the barge, feigning remorse, andMichele opens wide the cloak to reveal her dead lover. 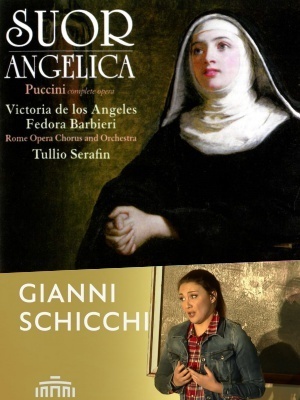 Suor Angelica is an opera in one act by Giacomo Puccini toan original Italian libretto by Giovacchino Forzano. Nunin the 17th century of the end alone is to lose hope to know the death of theson of worm drops a result of sin passion, it was that you Tetractys their ownlife in the monastery. GianniSchicchi is a comic opera in one act byGiacomo Puccini to an Italian libretto by Giovacchino Forzano, The aria "Omio babbino caro" is one of Puccini's best known, and one of the mostpopular arias in opera.